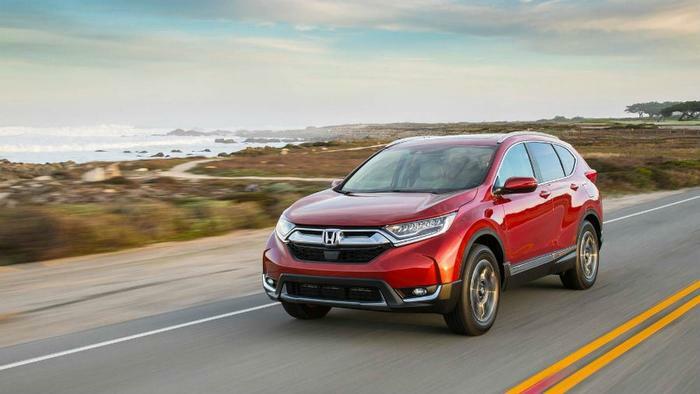 Honda's popular small SUV, the CR-V, is prone to engine trouble because gasoline sometimes leaks into the oil supply, according to an investigation by Consumer Reports. Owners of 2017 and 2018 CR-Vs with turbo engines have reported the same problem. The vehicle stalls, and after restarting will move only at slow speed. Consumer Reports cites one of its members who complained of the problem to Honda, as well as the National Highway Traffic Safety Administration (NHTSA). ConsumerAffairs has received at least one report of the issue. Raul, a ConsumerAffairs reader from Houston, Texas, reported the problem to us in an August 6 post. He said he purchased a 2018 CR-V even though he was aware that the problem sometimes occurred in 2017 models. After changing the oil at 7,000 miles, Raul said he began to notice the problem, with leaking gasoline causing the oil crankcase to nearly overflow. "Called American Honda and opened a case number and took it to the nearest dealership," Raul wrote in his ConsumerAffairs post. "They tested each individual cylinder, no codes or check engine lights (but they did admit that was indeed gasoline mixing in the oil) changed the oil and filter and sent me on my way. They said that Honda was aware of the issue but currently no fix." A recall in China but not the U.S. According to Consumer Reports, Honda recalled 380,000 CR-Vs and Civics in China earlier this year due to the same sort of defect. American Honda, however, has not taken a similar step in the U.S. But the carmaker is reportedly working on a fix. “Honda has been investigating the situation and developing a remedy, which we hope to make available through authorized Honda dealers by mid-November 2018,” a Honda spokesman told Consumer Reports. So far, the problem of gasoline leaking into the oil crankcase has not been reported on any Honda model earlier than 2017. When the problem occurs, changing the oil seems to provide a short-term fix. Honda tells Consumer Reports it doesn't believe the problem is widespread. However, there is no way to know that for sure. Honda has sold about 500,000 vehicles with that particular 1.5-liter turbo engine over the last two years.